Dance with us in Santa Cruz, CA! Rhythm & Motion dance workout classes launched at Motion Pacific in September 2013, and it’s been one big dance celebration ever since! We offer multiple dance workout classes per week, with additional opportunities to perform at community events such as Santa Cruz Dance Week and Santa Cruz Pride. The premier center for dance in Santa Cruz, Motion Pacific is a nonprofit dance education and presentation organization. Students ranging from toddler to adult participate in over 1500 classes per year. Motion Pacific hosts over 20 dance workshops annually, and presents local, regional, national and international artists during its performance season. Motion Pacific is located on Front Street between Downtown and the Ocean, directly across from Kaiser Permanente Arena. 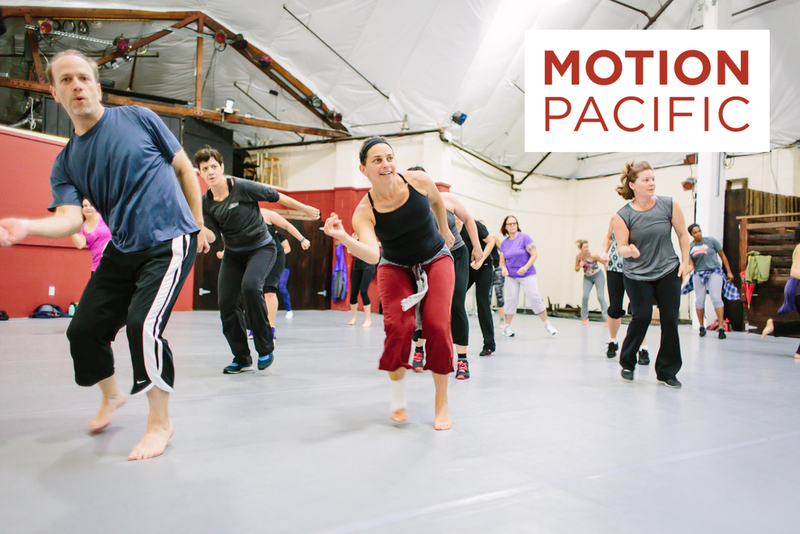 View Motion Pacific’s class pricing. Join our local Facebook group!